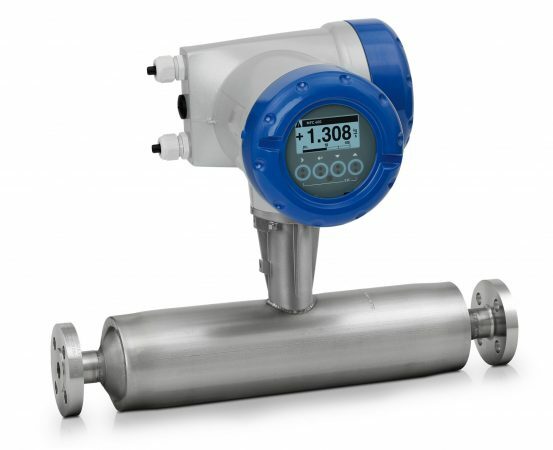 KROHNE, Inc. announced that it has begun manufacturing the updated OPTIMASS 1000 Straight Tube Coriolis Mass Meter at its newly opened state of the art flow and level instrument manufacturing and calibration facility located in Beverly, Mass. The OPTIMASS 1000 is designed for exceptional measurement capabilities with the flexibility and options of high-end meters, at a competitive price. The OPTIMASS 1000 is well-suited for a variety of industries, including the chemical, petrochemical, food and beverage, water and pharmaceutical, and can operate reliably between -40 and 130° C.
The OPTIMASS 1000 is designed with a close-coupled twin tube configuration with an optimized flow splitter, manufactured to be highly durable and capable of handling flow rates, even in the face of pressure fluctuations. This product also offers end-users many options not normally found in economic, general purpose meters, such as a number of hygienic process connectors for the pharmaceutical and food and beverage industries. It also comes with a standard measuring tube that is 100 per cent accurate, ensuring the highest level of safety. This is something that few other coriolis flowmeter manufacturers can offer as a level of certified secondary containment.